The food processing industry holds the potential to improve food security in African countries while also improving the livelihoods of smallholder farmers. TechnoServe is partnering with Partners in Food Solutions – a nonprofit that draws on the expertise of volunteers from General Mills, Cargill and DSM – and the U.S. Agency for International Development to assist small- and medium-sized African food processing companies. 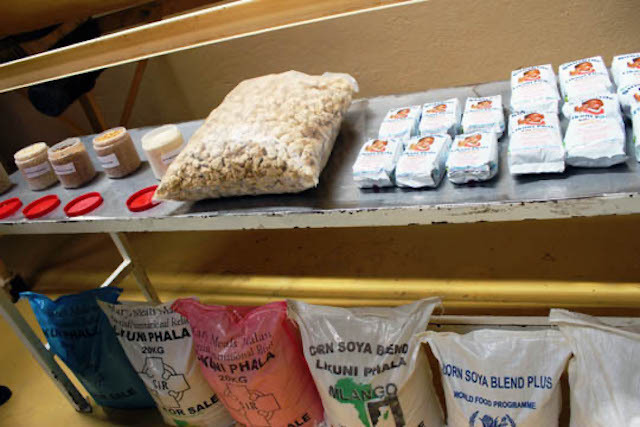 Products from Rab Processors Ltd., a Malawian company that is improving the quality, taste and shelf life of its products with assistance from Partners in Food Solutions and TechnoServe. The food processing industry holds the potential to improve food security in African countries while also improving the livelihoods of smallholder farmers. TechnoServe is partnering with Partners in Food Solutions – a nonprofit that draws on the expertise of volunteers from General Mills, Cargill and DSM – and the U.S. Agency for International Development to assist small- and medium-sized African food processing companies. Together, we are working with 36 businesses in Kenya, Zambia, Tanzania and Malawi to improve their ability to produce high-quality, nutritious and safe food. Root Capital, a nonprofit social investment fund, is providing financing to some of these businesses. The connection with Root Capital was forged through the Aspen Network of Development Entrepreneurs (ANDE), a global network of more than 140 organizations – including TechnoServe, Partners in Food Solutions and Root Capital – that work to propel entrepreneurship in the developing world. Read more about how the ANDE community is strengthening small and growing businesses in ANDE’s 2011 Impact Report.